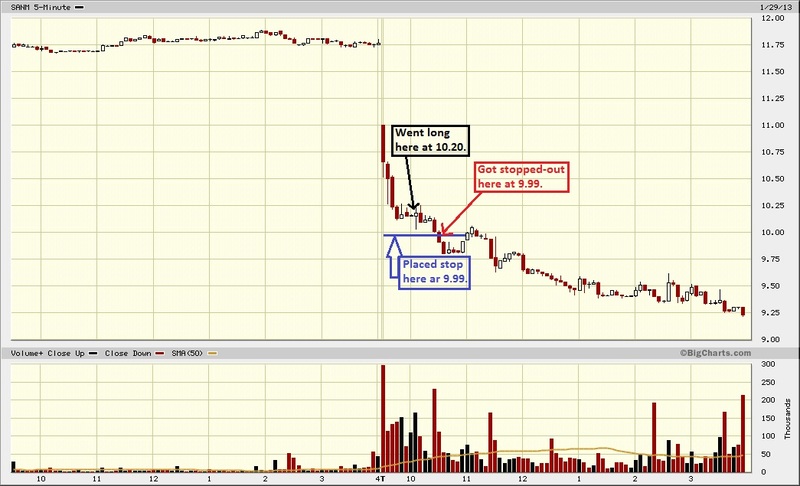 TRADER 9: Trade of the day, SANM!!! Not all bounce plays work, as you can see on the picture below. 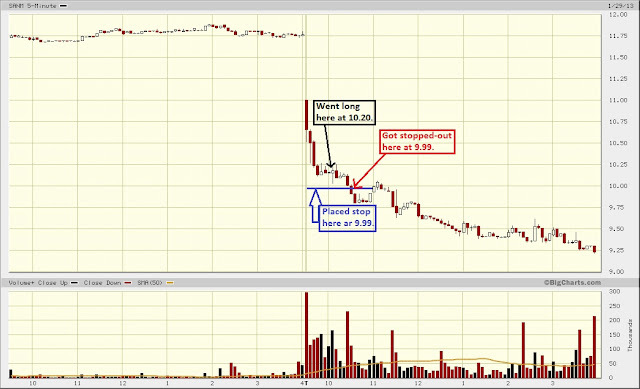 I thought SANM was a perfect bounce play in motion this morning, so went long 1000 shares at 10.20. Was looking for a profit target of at least 11.00, but my stop ended up getting hit at 9.99 and sold it for a -.21 point loss.